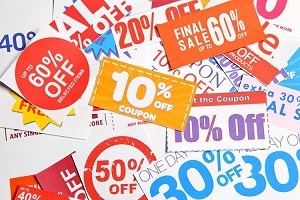 Stop searching for coupons! We’re hand-picked a list of the best deals & coupons on the Internet, and updating it constantly to help you get your shopping done! Keep checking back – we add new deals just as quickly as these offers expire. 20% Off 1 Item Instantly Online For New Subscribers – at Bed Bath & Beyond. Ends January 2nd, 2020. 30% Off Calvin Klein Performance – at Macy’s. Ends April 23. 25% Off New Fall Handbags From Our Best Brands – at Macy’s. Never ends. 40% Off Prints, Posters & Enlargements – at Walgreens. Ends April 27. $20 Off One Select Regular Price Item – at Best Buy. Expires soon. 20% Off One Item In-Store & Online w/Email Signup- at Bed Bath & Beyond. Never ends. 15% Off Your Purchase Of $100 or More + Kohl’s Cash – at Kohl’s. Ends April 23. $10 Off $30+ – at Bath & Body Works. Ends May 5. $5 Off $50 Select Items + Free Shipping – at Target. Never ends. 20% Off One Item When You Sign-Up For Emails – at buy buy Baby. Ends soon. Up to an Extra 20% Off Select Sale & Clearance Items – at Macy’s. Ends April 22. Buy more, Save More! Up to 20% Off! – at Kohl’s. Ends April 17.